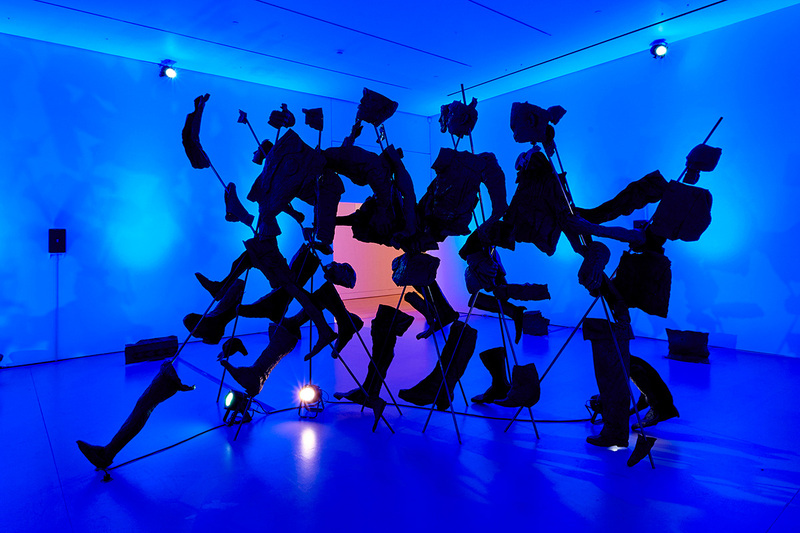 The Art Gallery of Hamilton’s current exhibition, are you experienced?, proposes that within contemporary practices there are artists that “prioritize a multi-sensory reception. Working to invoke viewer reactions that may be subtle or intangible, these artist seek to engage with, or just engage, the viewer’s consciousness.” Bringing together the work of Nadia Belerique, Jessica Eaton, Olafur Eliasson, Dorian FitzGerald, Hadley + Maxwell, and Do Ho Suh, the challenge for this thesis comes in establishing that the included practices are all specifically demonstrative of this impulse. Quite rightly, the exhibition positions experience as the product of a bodily encounter, eschewing the distancing authority of language in favour of an intuitive pre-linguistic event; a gestural performance between two inarticulate actors. Upon approach, the exhibition is introduced by Hadley + Maxwell’s Ritual for an Untimely Life (2009), wherein a Janus-like flight attendant performs a silent choreography of pre-flight safety instructions, beckoning viewers in while directing them onward. The split face/screen of the apparitional host provides clues as to the variety of approaches employed throughout to conjure experience, namely, works that play with scale, the presence of ephemeral or projected light, and the deployment of hallucinatory colours to invoke a state of other-worldliness in the viewer. 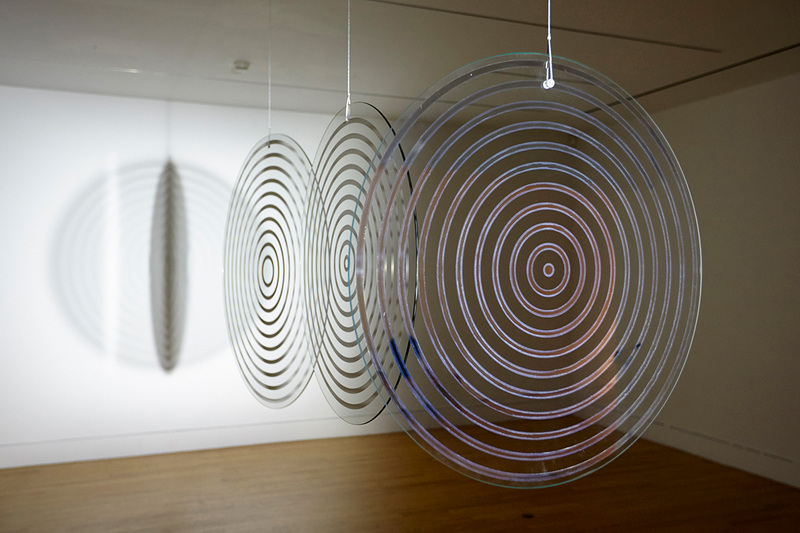 Eliasson’s Triple ripple (2004) and Hadley + Maxwell’s When That was This (2015) are exemplary of these features. In Hadley + Maxwell’s commissioned work a conglomeration of feet, arms, and faces pressed in cinefoil march to a 20 minute show of synchronized light and sound, alternately composed of fragmented readings of Erich Maria Remarque’s All Quiet on the Western Front and Gertrude Stein’s The Autobiography of Alice B. Toklas. Oscillating between rhythmic and discordant, the cacophonous score of text and technosonic chatter animates this monumental revolt. Producing a contact that is truly multi-sensory, When That was This convincingly argues for a politics formulated in the synaesthetic engagement of the viewer’s consciousness. Experience remains key in Ho Suh’s sculptures and drawings, foregrounding the ability that other beings and objects possess to transform us through a shared intimacy. 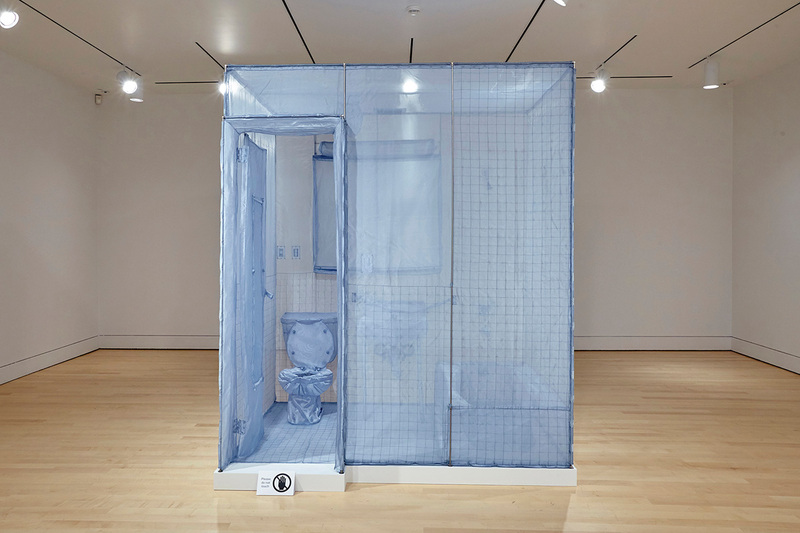 342 West 22nd Street, Apartment A, New York, NY 10011 (Bathroom) (2003) reconstructs the bathroom in Ho Suh’s former home in transparent polyester gauze—a spatial remembrance of an address that may recall itself at will. His recent rubbings, Rubbing/Loving Project: Stove 2, Apartment A, 348 West 22nd Street, New York, NY 10011, USA (2014), taken from appliances and objects which he once lived alongside, also appear as the revisitation of ghosts from an ever-present past. 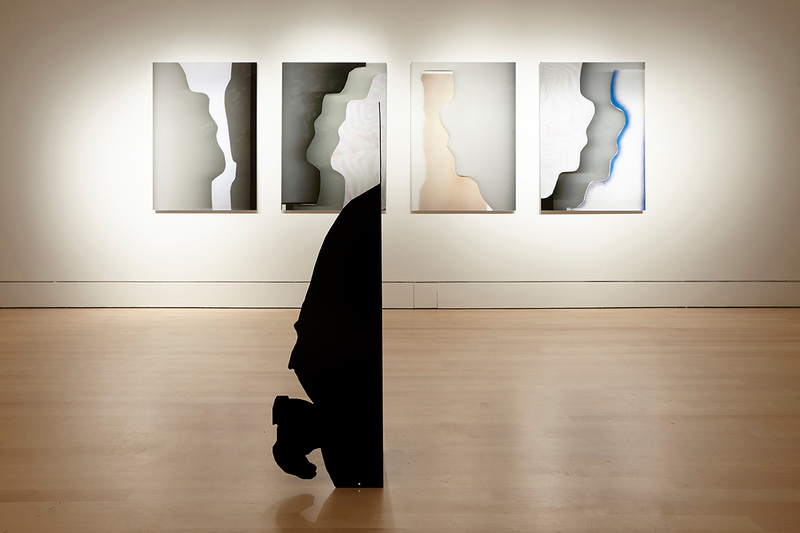 The collection of experience in the material world is also borne out in Belerique’s installation I Hate You Don’t Leave Me (2015), wherein images derived from near-empty scanner beds bare the traces of their making, appearing as smeared finger prints that provide evidence of a presence that has since exited the scene. In both Ho Suh’s and Belerique’s work, experience is an occurrence that lingers, leaving a physicalized remainder that follows each encounter. The two most challenging inclusions to accommodate within the exhibition’s thesis are Eaton’s and FitzGerald’s, and for similar reasons. Eaton’s photographs are immediately striking, ensnaring both eye and mind as they work to reconcile what we see with what we think we know, but within the context of this exhibition a problem arises as this mind/body struggle is decidedly counterintuitive. 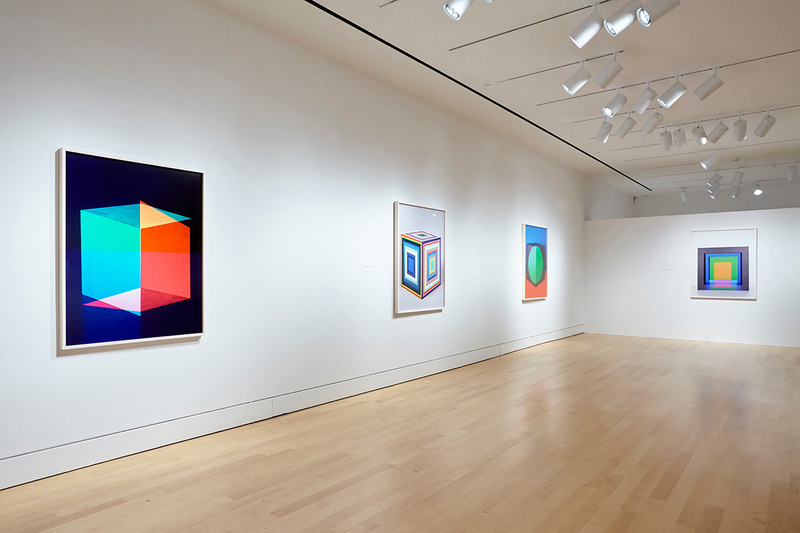 And while Eaton’s cfaal series formally makes sense alongside the works of Hadley + Maxwell and Olafur Eliasson—cfaal 222 (2012) being particularly psychedelic in its kaleidoscopic array of shape and colour—how they support the exhibition’s thesis remains unclear. Likewise, FitzGerald’s two paintings, despite their large size—Hacker-Pschorr Beerhall, Oktoberfest, Munich (2005) towers at 5.5 meters tall—feel equally miscast. In both cases an immense leap is required to locate the innate, somatic response promised, particularly as there is no evidence that FitzGerald or Eaton intend this from their work. The questions raised in are you experienced?, though, are the right ones. What is the experience of experience? What transformations occur when we come in to close contact with another being or material, and how might those be articulated outside of language? 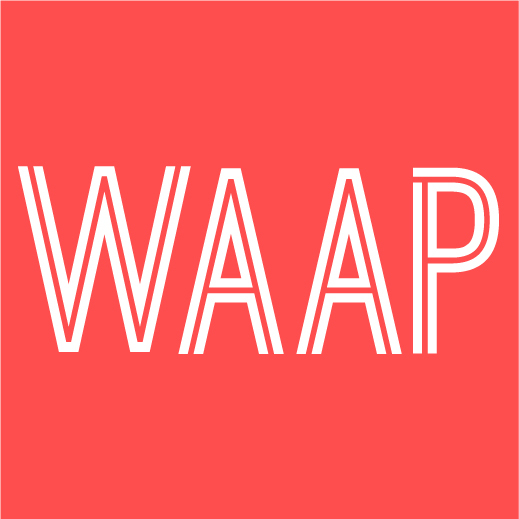 Through this invitation answers begin to form about how we engage with and are engaged by the world around us, and what reciprocal effect is felt in our wake.